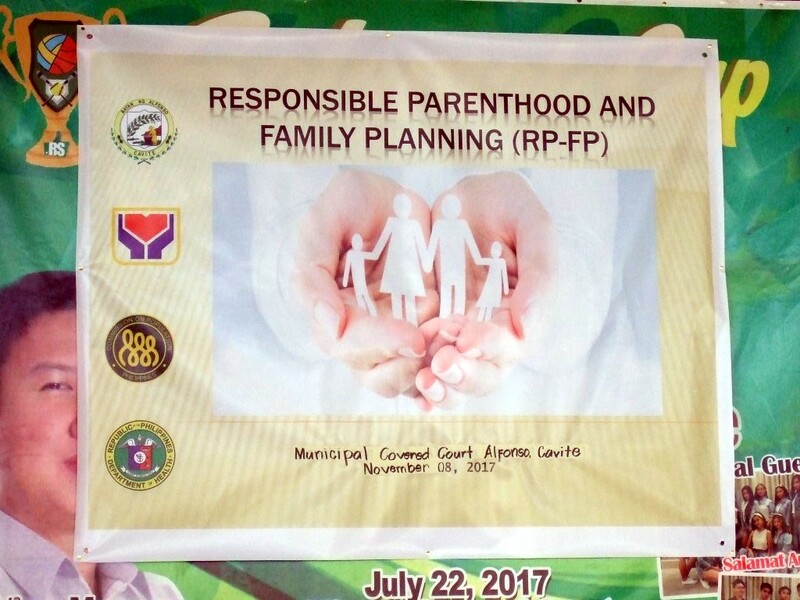 On November 8, 2017 we attended a seminar on Responsible Parenthood & Family Planning hosted by Alfonso Local Council for Protection of Children (LCPC) at the Alfonso Municipal covered basketball court. It was attended by parents mainly mothers of Day Care children in Alfonso. 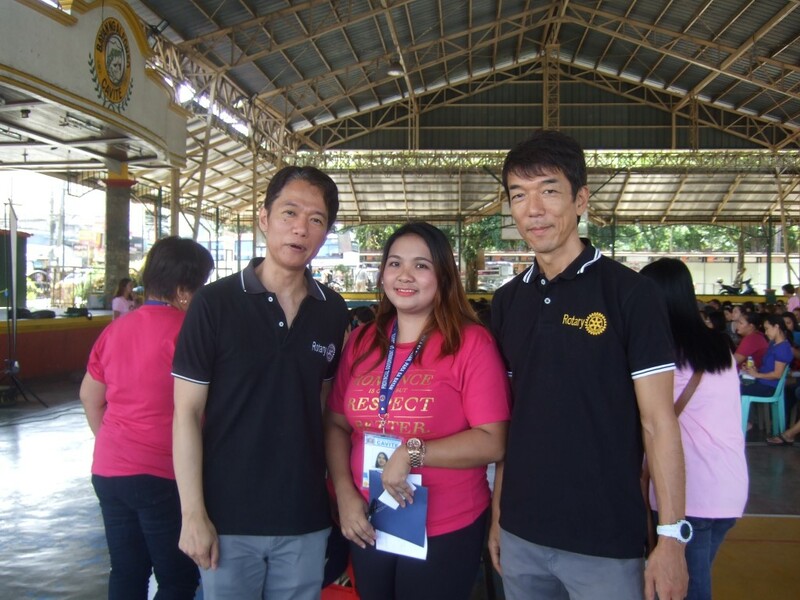 Anna of Population Commission (POPCOM) from Trece Martirez City, Cavite who was one of the key speakers of the seminar said this was the first time they conducted it in Alfonso upon the request of Gina of DSWD (Department of Social Welfare Development). From the data they have gathered they will encourage each mother to use the most suitable form of contraception depending on her health and financial situation and refer her to the nearest clinic where she resides to get free contraceptive provided by the Department of Health. POPCOM cannot impose contraception but instead educate & offer the women what contraceptive services are available for them. Anna told us that her team which is in charge of certain Cavite areas has been conducting the said seminar and Adolescent Sexuality & Reproductive Health seminar for high school students in the other areas of Cavite since there is an urgent need to control the alarming increase of population in the Philippines.They target more than 400 local high schools in Cavite. 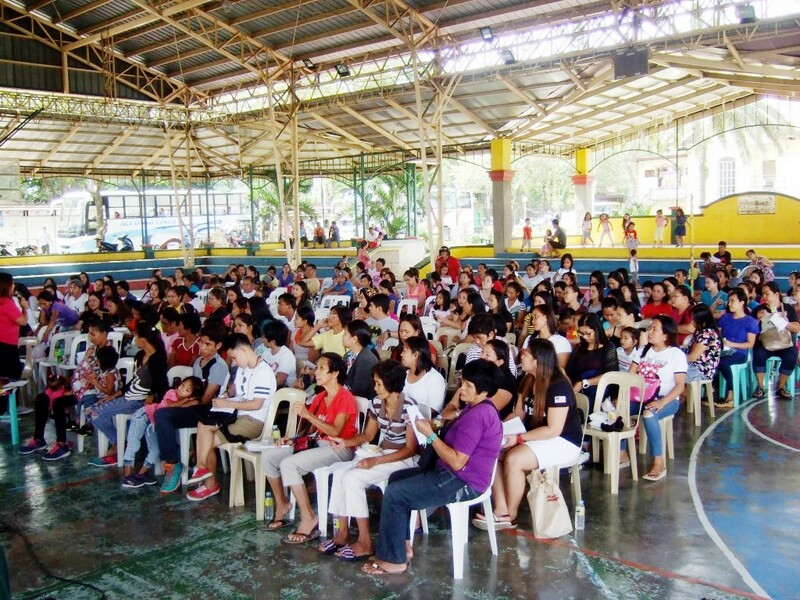 They have many team leaders assigned to cover other provinces of Cavite to conduct the seminars. They do not provide snacks to the participants but the students are given a short break period to relax & snack. Anna said they have a memorandum of agreement with the Department of Education to conduct the seminars at any local high schools in all regions of Cavite. RIMM could invite her as a speaker in our Teenage Pregnancy Forums or RIMM can join their seminars. In any case we can work together since we share the common goals.